25 years ago, on the morning of Easter Sunday (31 March) 1991, Ali was received into the Catholic Church at St John Payne Church, Greenstead, Colchester. At that Mass she made her first Communion and was confirmed a Catholic. Before being received into the Church Ali was invited to give a 'testimony', which is reproduced below. She had longed to be a Catholic for what seemed like an eternity, but there had been difficulties that appeared to be insurmountable. When Ali says that her journey of faith had been "long and tortuous" she was not exaggerating. 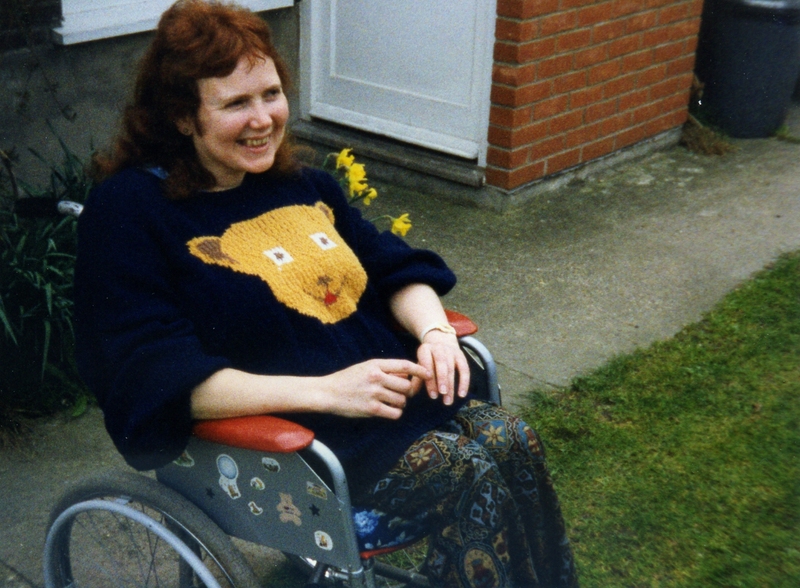 It seemed to her to be a miracle when the obstacles suddenly disappeared during Lent 1991, and when Fr John McGrath, then parish priest at St John Payne Church in Colchester, arranged for her to be received into the Church on Easter Sunday. Ali always spoke highly of Fr McGrath's kindness and patience when, from the mid-1980s, she sought him out when she had queries about the faith. Having received her into the Church it was fitting that he conducted the rite of committal at her burial in Dorset on 13 December 2013. Ali's Testimony on Being Received into the Catholic Church. My journey of faith has been long and tortuous, and it is certainly by grace rather than personal effort that it has reached this point of being received into the Church. I grew up in a loving Christian family. My parents, who are here supporting me as ever, are members of the United Reformed Church. After school I went to University and got married. As I grew in confidence, my gaze was set increasingly strongly in the direction away from God. I believed all things were possible for me by my own efforts, and that by striving for 'success' I could 'overcome my disability.' There was no room for spirituality in my world then. I rejected Christianity, which had become completely irrelevant to me, and declared myself an atheist. I believed that the power to change my world lay with me - it was up to me what happened. It certainly did change, but usually for the worse. The turning point came through trauma. My husband left me suddenly and totally unexpectedly. At the time of my greatest brokenness I became aware in a very special personal way of Mary the mother of Jesus. She has been with me ever since guiding and healing me. Fr McGrath suggested I join the parish group going to Lourdes in 1987, and with some trepidation I agreed to go. It is perhaps a measure of my distance from God that I had to ask him how to pray, although while we were there I discovered that the answer was simply to love God and speak of my love to Him. Fr McGrath recently reminded me of this, and he also commented that I had begun my 'spiritual journey' from nothing. I think he was just being kind because in fact I started from less than nothing. Nothing would have been a blank page, a total uncertainty and a preparedness to consider all possibilities seriously. That, however, was not my position, since I had been certain that there was no God, and that I was entirely in control of my own destiny. So I had to be drawn back from less than nothing - a negative - to nothing (willingness to consider even the possibility of the existence of God) to beilef in the truths deposited in the Church. An important step for me was changing my mind on abortion - a move I made while still an atheist. I realised the necessity of protecting the weakest human beings, whatever the personal cost, but it took me a long time to work through that, and realise that if life was of infinite value, there must be an infinite being to imbue it with that value! 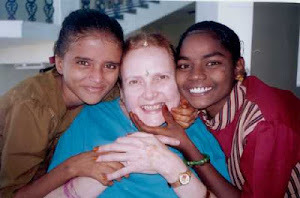 In Lourdes I learned the importance of loving myself - not for what I could do or what I had achieved, but because I was the creation of a loving God. Having discovered this and realised that I was after all loveable just as I am, it came as rather a shock to find out that even within the Church there is much misunderstanding of disability. I became so upset by constant questions about what was 'wrong' with me, and by insensitive comments like "you are in the way" (wherever I sat!) that I temporarily ran away even from the Church, and felt that there was no place for me within it. It has taken me a long time to recognise the answers to this: that what is 'wrong' with me is the same as what is wrong with every human being - sin; and that while I am sometimes in the way, in the sense that concerns about my temporal body (which happens to be disabled) sometimes get in the way of my soul recognising the God who made it, if I am physically "in the way" in a Church it is a fault in architecture and not a fault in me! From the despair of separation from God and the feeling that I have nothing to offer Him I have come almost full-circle. I certain have "no thing" to offer, but that is not the same of "nothing." What I have to offer God are my deficiencies, my weaknesses and my fears, and I ask him to fill my deficits with His grace. 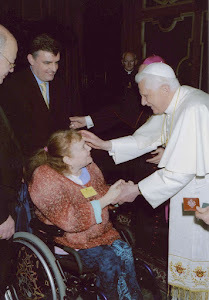 In this I have come to recognise the advantages a disability like mine offers: it is obvious, it cannot be ignored, and it is an opportunity to share in the sufferings of the crucified Christ. Through it I learn to use my weaknesses as a measure of the great love of God - the more we are forgiven the more we marvel at God's mercy, and the weaker we are the more aware of the strength of His love for us. St Paul tells us that God's power is made perfect in weakness, that God's grace is sufficient for us, and that "when I am weak, then I am strong." Maybe I have to run to God on my desires and not on my two feet, but it is the same God who has come to meet me just the same, and He who my soul strives to reflect. I have seen through the eyes of Mary our mother, the love of God; through confession I have been washed clean by His mercy; and I can now offer my "no thing" to God blindly - with my eyes closed in prayer the better to see Him. I know he will fill me up and compensate for my weaknesses with His strength, and I know that His Church is the place where, in the Eucharist, I can encounter at last the real presence of my saviour. You have a lovely blog. Thank you so much for sharing.